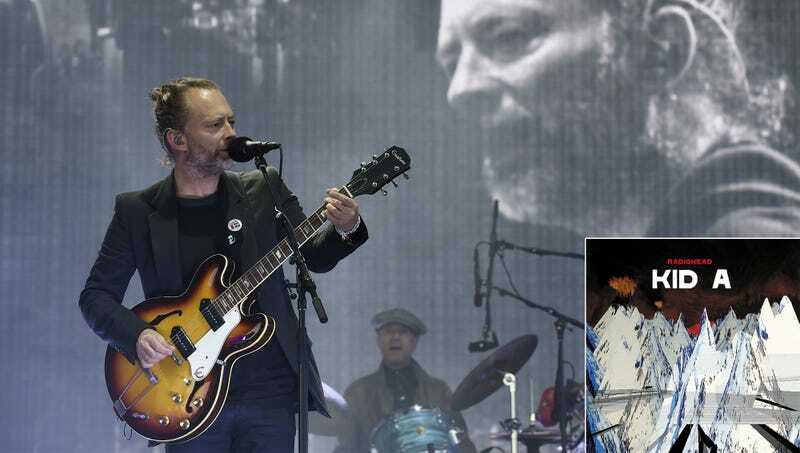 OXFORD, ENGLAND—Rewarding their longtime fans for their loyalty, Radiohead has re-released their career-defining 2000 album Kid A with remastered original skits. “After years of workshopping and late nights in the studio, we are proud to announce the release of the new Platinum Edition Kid A with all-new remastered between-track sketches, restored to their original 7-to-19-minute run times,” said lead singer Thom Yorke at the reissue’s launch party, noting that the new version of their seminal 2000 album includes fan-favorite bonus skits where the band does multiple voices while pretending to order far too much food at a drive-through window, all in lossless 7.1 digital surround sound. “Between classics like ‘Everything In Its Right Place’ and ‘Optimistic,’ and helping enhance Kid A’s famously jaunty tone, we’ve returned our trademark high-energy comedy performances to their rightful place. Now, before you settle in to ‘How To Disappear Completely,’ you’ll laugh yourself silly to hear [guitarist] Jonny Greenwood playing a convict strapped to an electric chair, only to find out the prison didn’t pay its electricity bill on time—just as we originally intended. We hope fans enjoy them as much as we do.” At press time, Radiohead announced that the special 180-gram vinyl LP pressings of Kid A would also include a free digital download of all the skits’ zany sound effects.